Kryptonian Warrior: Kneel Before Michael Shannon! - Set To Play Zod In Man Of Steel! 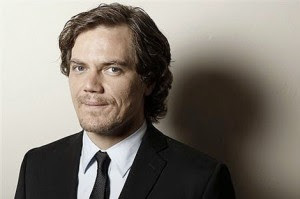 Kneel Before Michael Shannon! - Set To Play Zod In Man Of Steel! The cast for the new Superman movie "The Man of Steel" is growing larger every day and now word has hit the net that not only is General Zod the big bad but he's to be played by Michael Shannon (Revolutionary Road & Boardwalk Empire). As General Zod, Shannon will go toe-to-toe with Henry Cavill, who plays the new Clark Kent/Superman in the film. The main cast also includes Amy Adams as Lois Lane, and Diane Lane and Kevin Costner as Martha and Jonathan Kent.